asos Denim Dungaree Dress UK Size 12. Excellent condition. Worn once Asos Denim Shirt Dress 8-10. 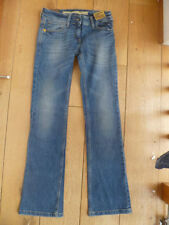 Nice denim colour and texture Condition is Used but vg Dispatched with Royal Mail 1st Class. ASOS Ladies Formal Dress Size 8. Condition is Used. Dispatched with Royal Mail 2nd Class. ASOS BLUE "DENIM-LOOK" LONG SLEEVED BLOUSE. 30" TOTAL LENGTH OF THE BLOUSE. 100% CONDITION. New condition Ladies Denim Oversized Shirt From Asos Size 8. Condition is Used. Dispatched with Royal Mail 2nd Class. ASOS Denim Look Button Down Midi Dress Size 10. Dispatched with Royal Mail 2nd Class. Please check out my other items I’m having a clear out. BNWT Blue Denim Dungaree Style Dress UK 18. Condition is New with tags. Dispatched with Royal Mail 2nd Class. Pin Stripe Blouse Size 20. Condition is Used. There are cutout shoulders with pieces of material to create a bow at the shoulder. Buttons both down the shirt and on both cuffs. Dispatched with Royal Mail 2nd Class. Ladies Denim Shirt Size 8 Asos. Condition is Used. Dispatched with eBay delivery – Shutl 2-3 days. 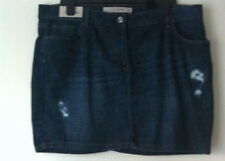 Asos Denim Mini Skirt Size 8. in perfect condition never worn Dispatched with Royal Mail 2ndClass. Check Pinafore Dress Asos Denim Size 12. Condition is Used. Dispatched with Royal Mail 2nd Class. Gorgeous sophisticated tea dress perfect for spring wedding or garden party. Has long sleeves and high neck with open back. Worn once to wedding so excellent condition. Very unusual statement dress. Asos Ladies Soft Denim Top Size 8 . Condition is Used. Dispatched with Royal Mail 2nd Class. Tall Denim Halter Neck Dress Size 14. Condition is Used. Dispatched with Royal Mail 1st Class. 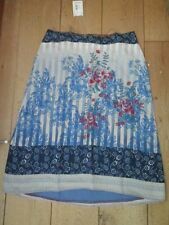 Asos Cotton Denim Look Dress Size 10 . Condition is Used but worn only twice ,they are super soft and colour on the photo doesn’t do a justice.they are lovely but just too big for me.obviously they only need some ironing but they have no signs of wear.Dispatched with Royal Mail 2nd Class. 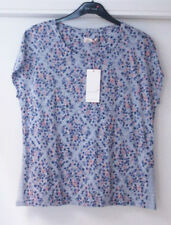 Ladies Asos Petite Summer Denim Smock Dress Size 10. Condition is Used. Dispatched with Royal Mail Signed For® 2nd Class. Size 10 denim dungaree skirt/pinafore from Asos. ASOS DENIM DRESS FRAYED HEMLINE OPEN BACK SIZE 12 IN GOOD CONDITION. Asos Denim Dress Size 12. Condition is Used, only work once so in excellent condition! Baggy style at the top then fitted body con on waist and legs. Belt already attached and zips up at back. mid blue denim wash - slight vintage look. From the Asos denim range. Dispatched with Royal Mail 2nd Class. 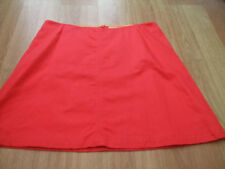 ASOS Denim Midi Skirt Size 14 With front split detail in perfect unworn condition. Waist is 32 inches and length is 24 inches. Influence embroidered denim mini dress, size 12, brought from ASOS. Thick heavy denim with beautiful yellow flowers embroidered on the front. Zip fastening to the back. I bought this a while ago but it's too big. Classic Womens Asos Vintage Denim Shirt Size 22 with popper buttons. Worn once but too small for me. Good quality and in excellent condition! Great essential for any wardrobe!! Dispatched with Royal Mail 1st Class within 2-3 working days of payment sent. Asos Denim Dress Size 16. Condition is Used. Dispatched with Royal Mail 2nd Class. Size 12 Asos Denim Pinafore/dungaree Dress. Condition is Used. Dispatched with Royal Mail 1st Class. ASOS Curve Blue Cotton Longline Stripe Shirt Size 20. Worn once or twice but just not my style. Perfect for summer! Dispatched with Royal Mail 1st Class within 2-3 working days of payment sent. Asos tall denim shirt size 10. Never worn just hung in wardrobe. Smoke and pet free home. Originally £28.